Hey Canberra! 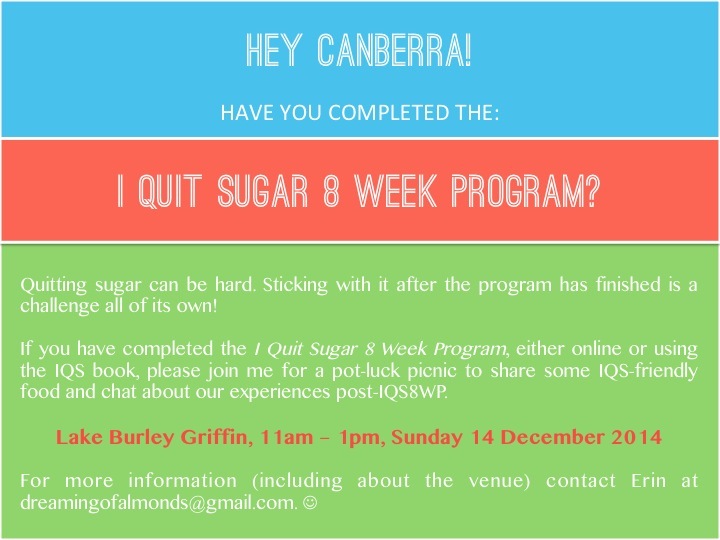 Have you done the I Quit Sugar 8 Week Program? If you have completed the I Quit Sugar 8 Week Program, either online or using the I Quit Sugar book, please join me for a pot-luck picnic in December, to meet other IQS ‘alumni’, share some IQS-friendly food and chat about our experiences (and challenges!) post-IQS8WP. 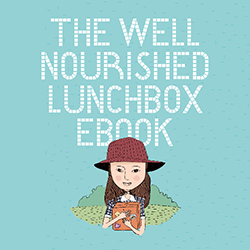 The picnic will be held at Lake Burley Griffin from 11am – 1pm(ish) on Sunday 14 December 2014. If you are interested in coming along or want more information, including about the venue, please send me an email at dreamingofalmonds@gmail.com.